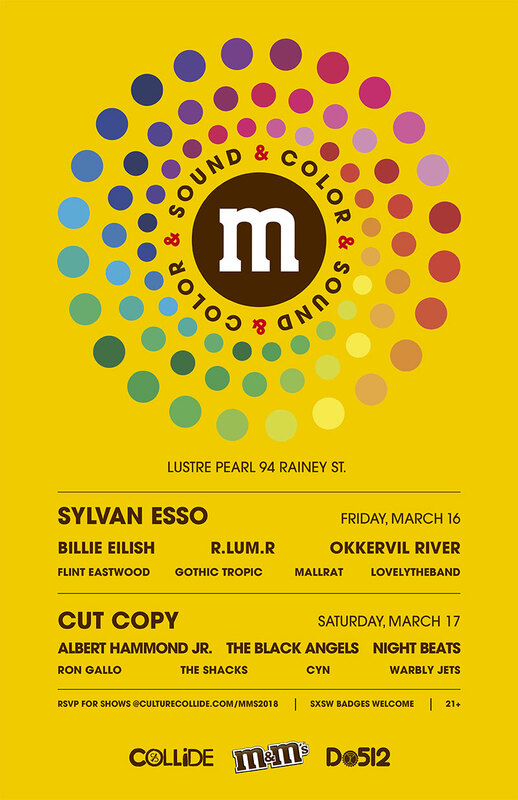 Check out the celebration of Sound + Color at the M&M’S House on Rainey Street. A full spectrum experience of interactive art and onstage music. Show up for the hands-on M&M’S experience and stay for the all-day lineup of fresh new musical acts. 10pm – Albert Hammond Jr.